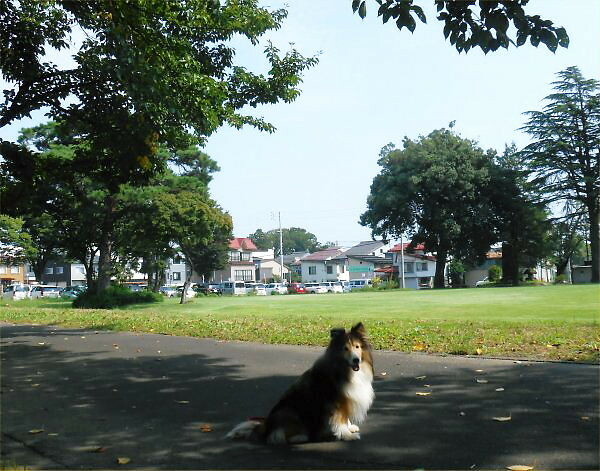 In the evening, on Friday, September 6th, LL lessons of LL Shihoya Arai School were held with air conditioner, but recently it has been cool in the early morning and night. 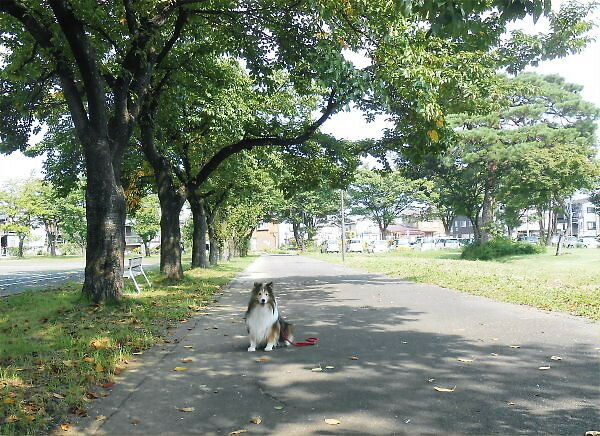 Leaves began falling on Cherry Avenue. In the late morning, just after finishing preparation today’s LL lessons, these pictures were taken. One was done heading west including Gateball ground and Mt. Namba. Another was heading north; you can see LL Shihoya Arai School in the center far away. 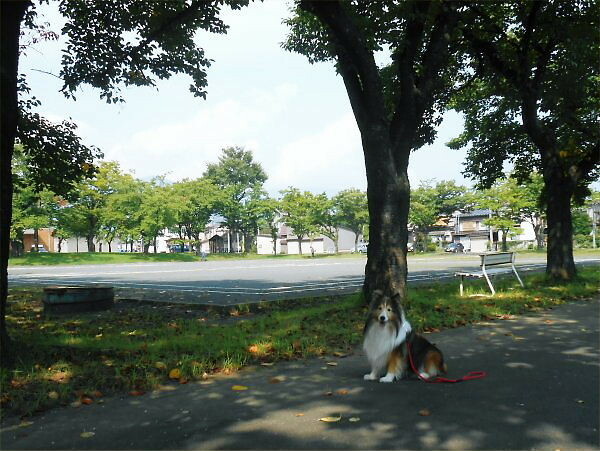 Yoshy went there to ask the staff put up the poster, in which “The 36th LL Speech Contest Interclass for Elementary School Students + English Play: The Lion and His Friends” held on Sunday, October 6th, from 2:00 to 4:30 pm is introduced. Most of them gave me their willing agreement; thanks a lot. “Kin-ken Center” where this event is going to be held, “The Joetsu Times” diagonally forward right of it, “Myoko Citizens’ Library”, “Myoko Culture Hall” and so on. 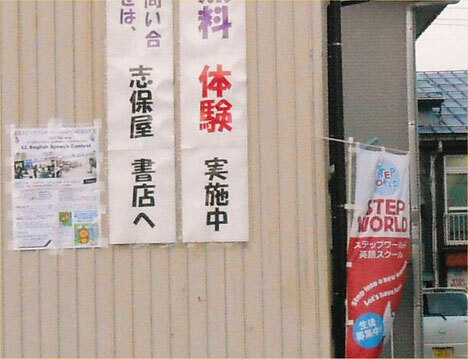 Of course, Yoshy put on them on the wall of the warehouse of LL Shihoya Arai School and the entrance door of Shihoya Bookstore, too. 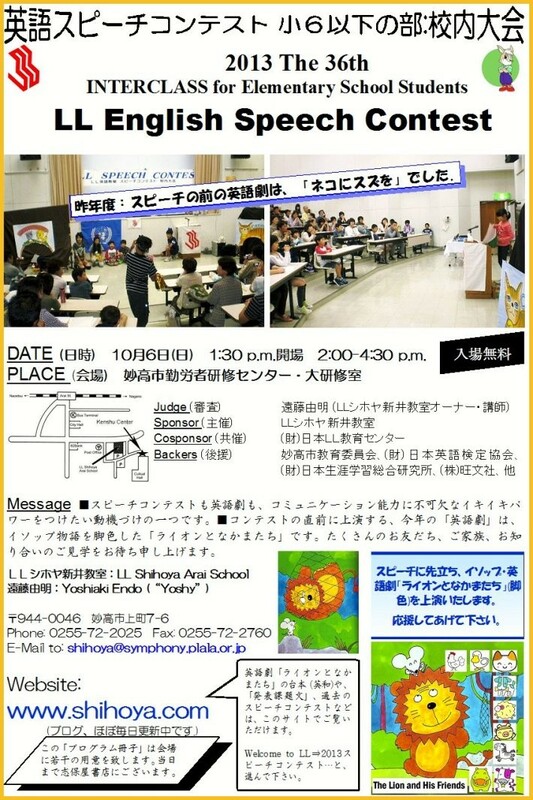 Yoshy hopes many people will visit this event: English Play and LL Speech Contest!